Do you own a VW Polo or a Ford Figo or a Hyundai i10? If you own any these cars and feel that you and your family are safe in these vehicles, you are gravely mistaken. According to the recent Global NCAP ratings VW Polo, Ford Figo, Hyundai i10 along with Maruti Alto 800 and Tata Nano have failed crash tests and the occupants lives are in mortal danger if any of these cars are involved in major accident. Global NCAP is a UK based independent organization run by charity which conducts regular safety assessments of vehicles sold all over the world to promote human and environmental safety. The Global NCAP performs independent tests and provides financial and technical assistance to new car assessment programmes in individual countries and often publicly declares vehicle crash test results. This time around it was the turn of 5 Indian vehicles namely VW Polo, Ford Figo, Hyundai i10, Maruti Alto 800 and Tata Nano, to undergo the stringent safety tests and the results are a shocker for the Indian consumers. All the 5 vehicles received zero-star ratings in adult occupant safety during head-on collisions at 64km/h. The was the first instance of independent crash tests of some of India’s popular small cars done by the Global NCAP. The combined sales of these five cars account to around 20% of new car sales in India. 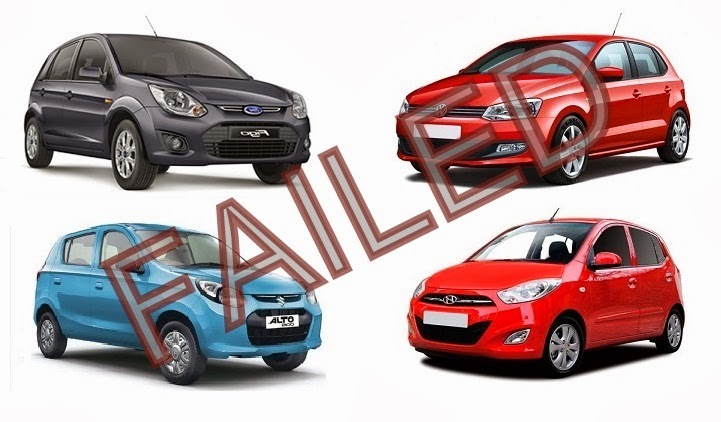 All models of these cars chosen were entry-level models with no airbags since none of these base models come with airbags as standard equipment. The overall crash results pictured that the structures of Tata Nano, Maruti Suzuki Alto 800 and Hyundai i10 proved inadequate and collapsed to greater degree. The structures were so weak that even if these models were fitted with an airbag the safety ratings would hardly improved and the occupants would still received fatal injuries. On the other hand, the structures of VW Polo and Ford Figo remained stable after crash and the safety would improve if airbags were fitted. With the declaration of these results, Volkswagen has discontinued the airbag-less variant of Polo in India. VW requested the Global NCAP organization to retest the Polo with airbags fitted and the airbag variant of the Polo received 4-star safety rating. The VW Polo structure was stable after the crash but the readings on the dummy passenger indicated high-risk of fatal injuries the occupant is likely to suffer. The Polo used in this test was one without the driver and passenger airbag variant. Global NCAP quoted that if Polo with airbags is tested the Polo gets a 4-star rating which makes it the safest car in its segment. Global NCAP organization advices the customers to carefully select the Polo variant they want to buy. In the case of the Alto 800, the structure strength was inadequate and collapsed at varying degrees. 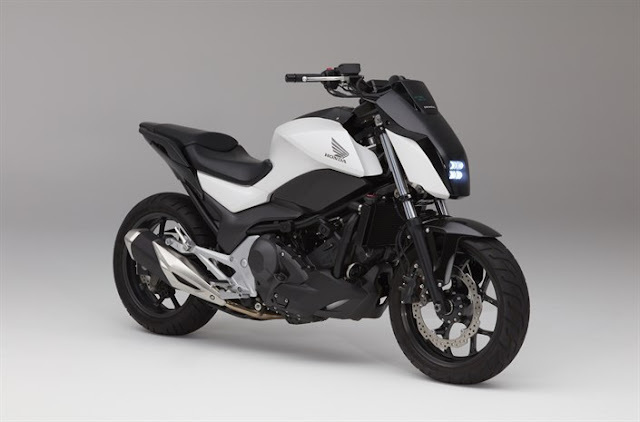 The structure proved to be so weak that even the introduction of airbags would not help the occupants from suffering life threatening injuries. The Global NCAP declared the Alto 800 to be “unsuitable for the fitmaent of airbags”. 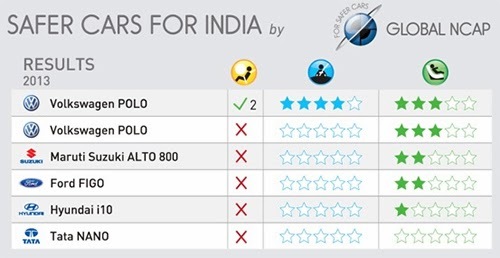 Alto 800 received 2-star ratings for child protection only if the child seats recommended by Maruti Suzuki are used. Alto 800 failed for the 56km/h UN and 64km/h NCAP crash tests. As with the case with the Alto 800, the Hyundai i10’s structure too proved to be fragile and collapsed in varying degrees during the crash test. Even for the i10 the presence of airbags did not make much difference. More shockingly the i10 received just 1-star rating for child safety when child seats recommended by Hyundai were used. A 3-year old dummy passenger received life threatening injuries from the crash. Much like the Polo, the Figo has a stable structure but still got zero-star rating due to absence of airbags. In presence of airbags, the Figo is expected to be much more safer. In the 64km/h crash tests the Figo failed to pass but was able to meet the UN’s minimum safety requirements in the 56km/h crash test where the driver’s head narrowly missed direct contact with the steering wheel. For the child safety the Figo could achieve only 2-star rating when child seat recommended by Ford were used.